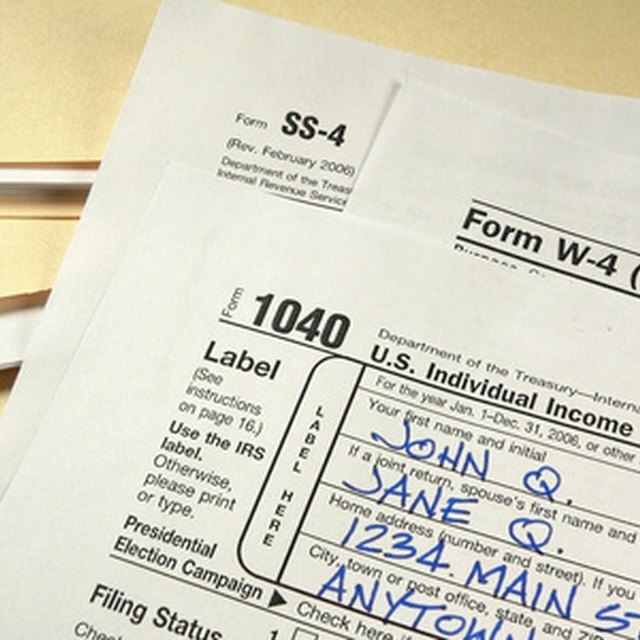 The Internal Revenue Service requires employers to withhold money from employees' paychecks because taxes are to be paid on income as it is earned. If an employee doesn't have enough tax withheld during the year, he may have to pay interest and penalties when he files his taxes at the end of the year. To determine how much to withhold, have your employees fill out a W-4 form which shows how many exemptions each is claiming, plus any additional amounts to be withheld. Calculate how much the employee is paid on a biweekly basis. Be sure to include non-monetary compensation that is taxable such as fringe benefits like meals, clothing or housing. Subtract pretax expenses such as contributions to a tax-deferred retirement plan like a traditional 401(k). These amounts are not included in taxable income, so they do not count towards the amount subject to tax withholding. Calculate the annual taxable income by multiplying the adjusted biweekly income by 26. For example, if the adjusted biweekly income is $1,700, the annual taxable earnings would be $44,200. Adjust this annual income for exemptions claimed by the employee on the W-4 form. For calculating 2010 wages, each exemption claimed subtracts $3,650 from the annual income. For example, if the employee only claimed one exemption and made $44,200, the adjusted income would be $40,550. Calculate the annual withholding amount based on the adjusted income after exemptions. Use a tax withholding chart, available online, for the employee's filing status. For example, if the employee is single and has an adjusted income of $40,550, you would need to withhold $5,407 over the course of the year. Divide the annual withholding amount by 26 to calculate the proper amount to withhold per pay period. For example, to withhold $5,407 over the course of the year, you would withhold $207.96 from each biweekly paycheck.